Did you say four new versions? Yep! 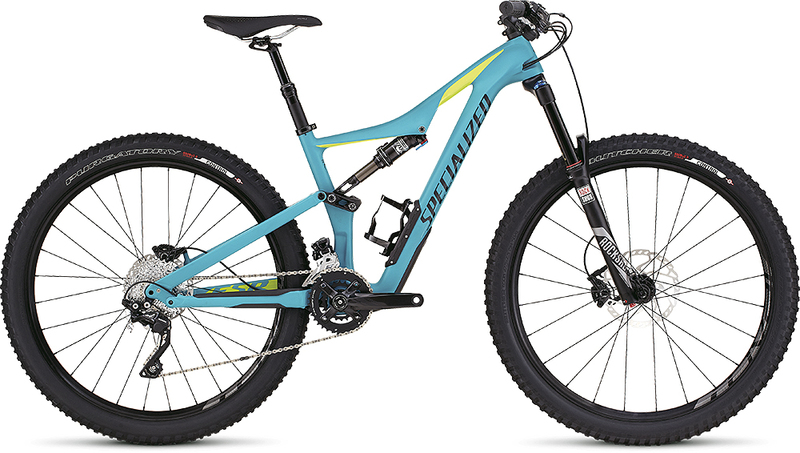 In addition to the revised 29er and 650b bikes, Specialized has added a 650b+ Stumpy and a women-specific version called the Rhyme. So it’s fair to say that Specialized now has all the bases and wheel sizes covered in the trail bike category. Even though Specialized has redesigned all of the Stumpy frames from the ground up, it hasn’t messed with its winning formula. Instead, it has taken the best aspects of the Stumpy EVO range and built upon them. In addition to the increased range of wheel sizes, Specialized has shortened the chainstay lengths, expanded the SWAT storage capacity and improved the Command Post’s range of adjustment. The prices have come down too. There’s still an EVO option, right? No, the EVO tag has been dropped from the 2016 Stumpy range — but its attitude lives on. That means slack head angles, low BB heights and build kits to reflect the Stumpy’s go anywhere, do anything attitude now come as standard. One small change, which could make a big difference to how the bikes ride, is that the chainstays are now much shorter. 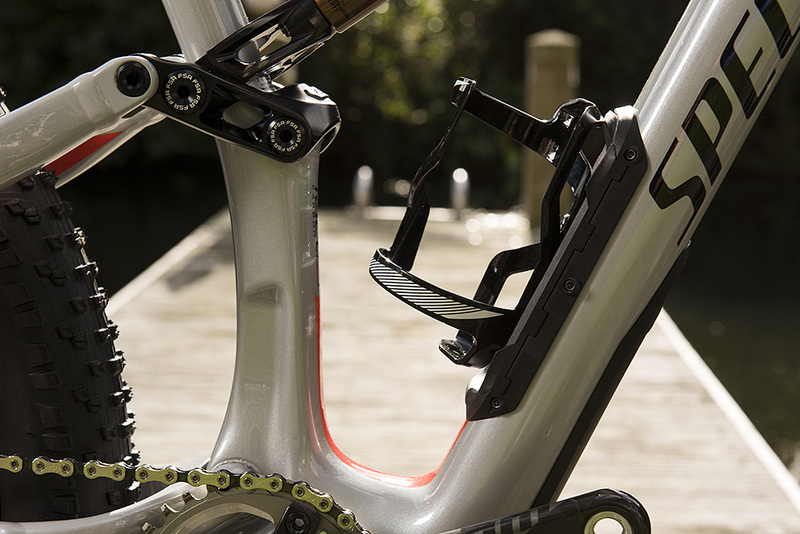 By removing the seat stay bridge and adding extra material to the shock link to offset any loss in stiffness, Specialized has achieved enough clearance to dramatically reduce the chainstay lengths. The 29er now has 437mm chain stays and the 650b bike is rocking an impressively tight 420mm back end. And, even with the super short stays, tyre clearance remains ample and the bikes are still compatible with front mechs thanks to Specialized’s removable Taco Blade mount. For more details on sizing and geometry see the tables at the bottom of the page. How much travel do the new bikes have? Travel is the same as last year. The Stumpy 29ers get 135mm on the rear married to 140mm forks. If you want more travel and smaller wheels, the 650b bikes are packing 150mm front and rear. Specialized has also taken i’s shock tuning to the next level with the Rx Tune. So, regardless of the price-point, each shock is custom tuned specifically for that model, where the shock on the Rhyme is also tuned for lighter riders. Knock, Knock. What’s behind the SWAT Door? Joking aside, all of the new carbon Stumpys get storage built into the frame. A hinged door under the bottle cage mount on the down tube opens up so you can stuff an inner tube, mini pump and tyre levers inside the frame. It’s a bit like having a glove compartment on your bike, only it’s more useful. Combined with the SWAT Cradle in the top tube that holds your multi-tool, and the neat chain breaker stowed under the headset top cap, you won’t need to carry the kitchen sink on your back every time you venture into the backcountry. Sounds great, but what else has changed? Stem lengths have been shorted across the board. The M, L and XL bikes now come with 60mm stems while the XS and S get stubby 45mm units. Regardless of wheel size, all Stumpjumper FSR models sport the new Command Post IRcc with its expanded range of adjustment. So instead of having 3 fixed positions like the old Command Post, the new Cruise Control version gets 12 pre-set positions on the 125mm and 100mm posts, and 10 positions on the 75mm option, making it much easier to find your optimum saddle height. Why make three Command Posts with different amounts of drop? 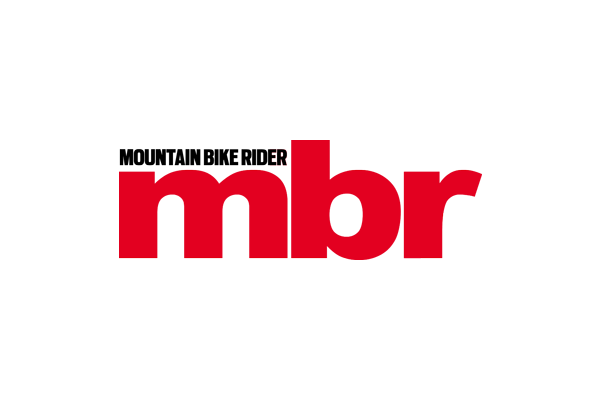 It allows Specialized to tailor the amount of drop to the frame size. The XS Rhyme gets the 75mm post, small Stumpys get 100mm drop while the M, L and XL all use the 125mm post. And while this is a great move, we’d like to see a 150mm option on the XL bike. Specialized would be foolish to ignore the march of the online retailer, and it appears keen to keep its pricing as competitive as the performance of its bike, Hence, prices are reduced for 2016. The Stumpjumper FSR Comp 29 is now £2,200 (down from £2,500), without any obvious compromises in the build kit. At the other end of the spectrum the S-Works Stumpjumper FSR has been cut from £7,000 to £6,500. When can I get hold of one? The bikes are available right now, and to see the full range of 2016 Stumpjumpers head over to specialized.com. 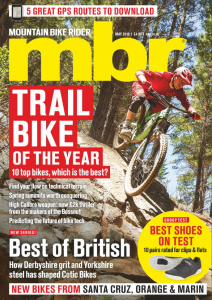 Also, be sure to check out the July issue of mbr for our First Ride on the 2016 S-Works Stumpjumper FSR 29.